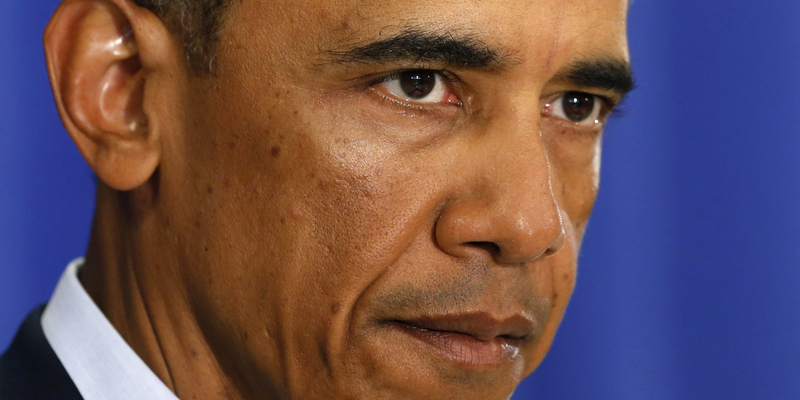 Should Obama consult Congress before conducting airstrikes in Syria? WASHINGTON - There's a moment of déjà vu at hand as President Obama contemplates a question that first arose last summer: Should he seek Congressional input on whether to conduct airstrikes in Syria? It was August 2013 last time the president considered this issue. After determining that Syrian President Bashar Assad's regime had used chemical weapons against his own people, the president said he intended to seek congressional approval for military retaliation. But Congress was hesitant about Mr. Obama's request for a vote and the operation was eventually abandoned as a deal was struck to destroy the regime's chemical weapons supply. Now, as the administration weighs airstrikes as a way to defeat the Islamic State of Iraq and Syria (ISIS) in Syria, the White House believes it may not be necessary to get congressional approval. While cautioning that the president has yet to make a final decision, officials say the two circumstances are different. "What we're talking about now is confronting a terrorist group that has sought safe haven in Syria," White House spokesman Josh Earnest said when whether Mr. Obama would again seek congressional authorization. "This is a group that poses a threat to Americans in the region and could potentially, down the line, pose a broader threat to American interests and our allies around the globe." Earlier in August, Mr. Obama authorized U.S. airstrikes against ISIS targets in Iraq. The militants have been capturing territory and moving easily between Iraq and Syria, effectively blurring the border between the neighboring nations. Thus far, there has been little evidence that congressional leaders are going to push the president to seek their approval before proceeding with military action. And with the rapidly approaching November midterm elections, congressmen and senators may be less inclined to take a vote on military action that could prove politically perilous. "I see no reason to come to Congress because, if he does, it'll just become a circus," Rep. Steve Cohen, D-Tennessee, said this week. Still, some of the top foreign policy voices on both sides of the aisle say Congress should take a vote. Sen. Bob Corker, R-Tennessee, who is frequently critical of Mr. Obama's foreign policy, has said Congress should "certainly" authorize any military action in Syria. Democratic Sen. Tim Kaine of Virginia, though ally to the White House, has also called for a vote on the president's broader strategy for defeating the militants. "I am calling for the mission and objectives for this current significant military action against [ISIS] to be made clear to Congress, the American people, and our men and women in uniform," said Kaine. "Congress should vote up or down on it." Mr. Obama's surprise move to seek Congressional authorization on Syria last year underscores the degree to which the dynamics in Washington could quickly flip. He may decide seek congressional approval once again, and more members of Congress could call for that as they return to Washington in September. Legal experts say the president has the authority to launch airstrikes in Syria without congressional approval, though they say he would be on firmer legal ground with a limited scope and duration of attacks. "The Constitution gives only Congress the power to initiate war," said Ilya Somin, a law professor at George Mason University. "You could argue that a small number of strikes over a small number of days does not constitute a war." Mr. Obama decided to strike ISIS in Iraq without seeking congressional input. He determined the action was necessary both to protect American personnel and assets in the country, as well as a group of religious minorities called the Yazidis whom the militants had trapped on a mountain without food or water. "We intend to stay vigilant and take action if these terrorist forces threaten our personnel or facilities anywhere in Iraq, including our consulate in Erbil and our embassy in Baghdad," the president said at the time. Administration officials have also noted that the Iraqi government sought U.S. assistance in combating ISIS. The Syrian government, meanwhile, has welcomed U.S. intervention there that targets the militants as long as they are consulted first, which seems unlikely given that the White House has insisted Assad must step down. The military launched three more airstrikes in Iraq on Wednesday, bringing the total number of U.S. strikes to 101 since Aug. 8. Defense officials say the U.S. is also considering a humanitarian relief operation for Shiite Turkmen in northern Iraq who have been under siege by militants for weeks. Obama on those who killed James Foley: "America does not forget"
The president initially seemed reluctant to take on ISIS in Syria, but seemed to change his approach after the militants announced they had killed American journalist James Foley. They have threatened the lives of other American hostages, including journalist Steven Sotloff, whose mother released a video Wednesday pleading with the captors to release him. Extending airstrikes into Syria would also require compliance with international law. The clearest basis for military action would be a U.N. Security Council resolution. However, Mr. Obama is unlikely to get that authorization, given that Russia, the biggest benefactor of Syrian President Bashar Assad, would probably wield its veto power unless military action were coordinated with the Syrian government. Some international law experts argue that airstrikes could be justified as a matter of self-defense. Mr. Obama could argue that the Islamic State group poses a threat to the U.S. and its allies from inside Syria, whose government is unwilling or unable to stop it. Anthony Clark Arend, a government and foreign service professor at Georgetown University, said Mr. Obama could also argue that he was acting alongside Iraq in the interest of "collective defense." That theory would posit that the strikes in Syria are an extension of Iraq's request to the U.S. to help it fight the Islamic State group. Another possibility: Although the U.S. has said it will not coordinate with Assad, the Syrian dictator could give secret, back-channel consent to American attacks. The U.S. has a similar arrangement with the Pakistani military for U.S. drone strikes there, even though Pakistani officials publicly condemn the American actions.